(CNN) Melbourne, Australia has two major newspapers; the Herald-Sun is the Rupert Murdoch one. It is full of sports (Australian rules football), photos of cute kids, shocking crime stories, celebrity gossip, and, if an election is in the offing, relentless right-wing political polemics. Oh, and cartoons. It also does cartoons. Australia is the nicest racist country you will ever see. It is racist in a blithe, jokey kind of way, where nobody is supposed to take anything too seriously, and nobody is too aware of historical or cultural contexts. There is racial violence in Australia’s history, but not a lot of it, compared with many other countries, and it’s not very recent. The racism you get in Australia is mostly of the blindness to privilege variety, where a person may make fun of another for their distinguishing characteristics without realizing that doing so is far more comfortable from within the demographic majority. The Herald-Sun is full of such casual racism, along with a lot of other idiocies. I read it almost every day, starting with the always entertaining letters to the editor, where the ignorant and misinformed produce tyrannical and byzantine solutions to the world’s problems, as well as complaining about gas prices. Also it does have excellent football coverage. 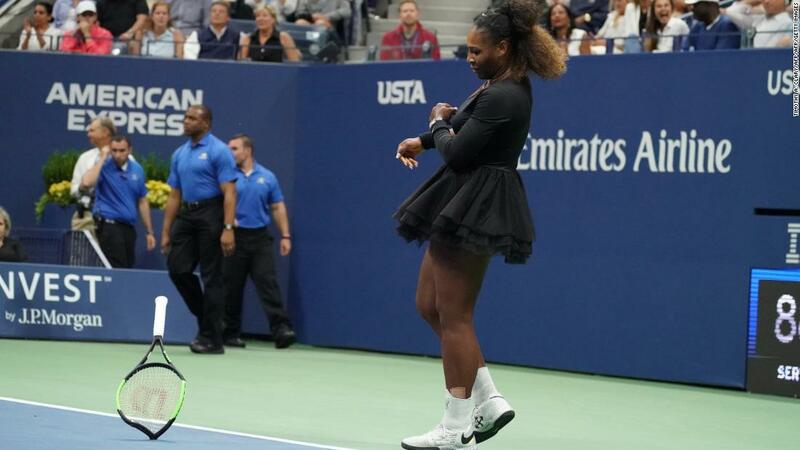 Its Serena Williams cartoon, published Monday, was shocking in its harkening back to century-old Jim Crow-style imagery, but not exactly surprising, because there is something like that in the Herald-Sun all the time. It was also unsurprising in how the newspaper and its cartoonist, Mark Knight, subsequently defended the cartoon, which was simply to deny it has anything to do with race. (The Herald-Sun used a favorite phrase: “The world has gone mad.”) Because, in Australia, if no offense is intended, none can be taken. There’s little doubt that Knight grossly exaggerated the nose and lips of Williams for the same reason he exaggerates the physical characteristics of most of his cartoons’ subjects: They are caricatures, and, as such, he targets differences and explodes them. But he must have been aware of, and deliberately ignored, the historical echoes of his cartoon — the exaggerated lips and nose reminiscent of racist depictions of black people in the United States during Jim Crow. On base logic, he was right to do so: It created only a minor stir domestically, and, I’m sure, more laughs than gasps among its core readership. To be clear, the Herald-Sun isn’t a niche publication: It is the biggest-selling newspaper in Melbourne, Australia’s most liberal city. It finds an audience because, in typical Murdoch media fashion, it delivers cheap, bright, digestible dollops of news and entertainment, mostly the latter, to people without a lot of free time. Even during election season, when the hand of Murdoch can be seen banging ever more stridently on the political drums, you will always find at least one snap of plucky kids or an interesting dog. Australians often find it unclear why such things as Knight’s cartoon are considered racist. Less than a decade ago, we couldn’t understand why singer Harry Connick, Jr. was offended by a blackface performance during a TV show. A few years ago, my own daughter was given a golliwog doll. These things are intended as gentle humor, in good spirit, and expected to be taken that way. This will change—slowly, much more slowly than in countries like the United States, with its vastly greater direct exposure to African peoples, culture and history. But probably not in the Herald-Sun.